Video games have never shied away from BIG emotions. But losing your medic by the claws and teeth of a larger than life alien monster does not have the same emotional impact as losing your son after a long battle with cancer. In recent years several game designers have taken storytelling in games to another level by making small personal tales the center of the experience. Some call them Empathy Games because they let the player feel what somebody else is going through. Designer Vander Caballero quit his high paying job making big budget shooters to start his own studio: Minority Media. His first game tells the story of a young boy and his monster. The two love playing together, but the monster has an insatiable appetite for poisonous frogs that turn him into a raging bully that stops at nothing to hurt the boy. The story is a metaphor for growing up with an alcoholic father, and Caballero has made it clear that he is the boy in the game. Papo & Yo resonated with many players that had/have to deal with the same situation. At the 2013 Game Developer Conference a talk by Caballero on this subject turned into a mass therapy session when several attendees took the opportunity to share their story and thank him for making the game. Caballero was one of the first to coin the term Empathy Games as a way to explain what kind of experiences he wants to share. He went on to create a game on bullying after this one (Spirits of Spring). He looked painfully out of place in the limelight on the big stage at the 2016 Game Awards. Ryan Green just won the Games For Impact Award and was called to the stage by two happy, laughing presenters. During his acceptance speech Green broke down crying because his game That Dragon, Cancer was a deeply personal project about his son Joel who battled with terminal cancer for three years before eventually passing away. In This War of Mine gamers get to play a group of survivors in a city torn by a raging conflict. Cut off from the outside world they have no other option than to make the best of the situation by keeping their heads down and try to stay alive any way they can. That means trading items for food or medicine and keeping out of harm’s way of gangs looting houses and roaming the streets at night. 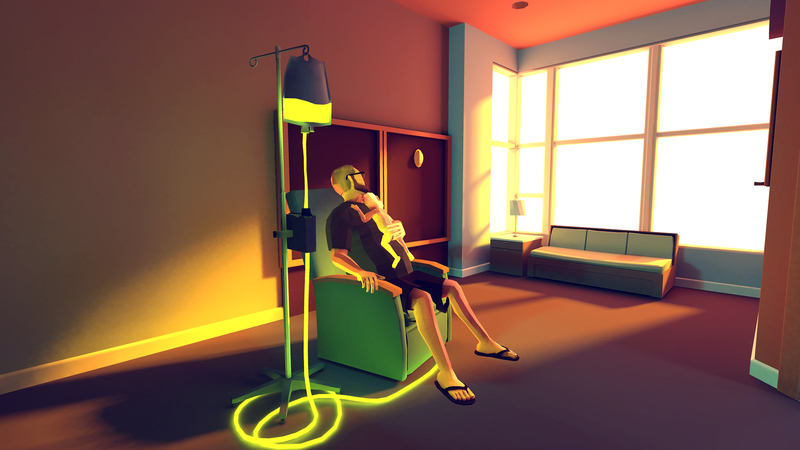 Dutch game studio Sassybot describes Fragments of Him as an interactive narrative experience. You follow the story of Will, a young gay man that recently died in an tragic accident. You get to know his backstory through his grandmother and his ex girlfriend, and you experience the emotional impact of his sudden death through the eyes of his devastated partner. In the multiple award-winning Papers, Please, the player takes on the role of a border crossing immigration officer in the fictional dystopian Eastern Bloc-like country of Arstotzka. You must review each immigrant and returning citizen’s passports, allowing in only those with the proper paperwork, rejecting those without all proper forms and sometimes detaining those with falsified information. The player earns money for how many people they have processed correctly in that day, while being fined for making mistakes. As relations between Arstotzka and nearby countries deteriorate, the game takes an interesting turn and will put the player on the spot. Will you apply to the ever increasing pressure of the regime or will you help overthrow it? Co-founder and former Editor in Chief of Control Magazine. Control serves as a central hub for information about/for Dutch game development studios and consists of a magazine, websites and conference. He has been writing about games professionally since 1997 (yes he’s getting old).